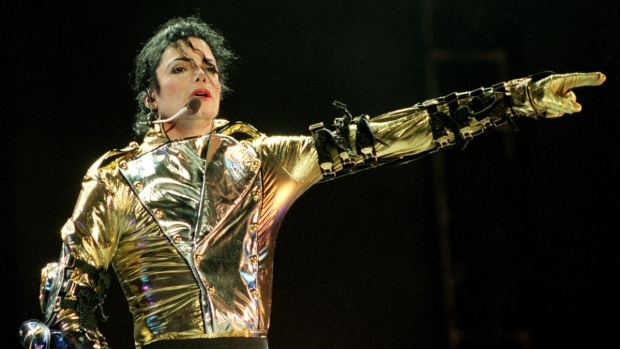 Michael Jackson's Family Visits His Childhood Home in Ind. There was a party outside Michael Jackson's childhood home in Gary, Ind., on Wednesday as the city gathered to celebrate what would have been the pop star's 54th birthday. Fifteen-year-old Prince Michael Jackson and his sisters, 10-year-old Blanket and 14-year-old Paris, are in Gary to join the festivities. The late singer's mother, Katherine, and sister Latoya were also in Gary. Fans danced to Jackson's music outside the home at 2300 Jackson St. where the King of Pop, his siblings and their parents lived until 1969. The children arrived before a scheduled vigil and signed autographs outside the home. A large crowd formed around them, with fans shoving books and posters in the teens' faces. The Rev. Jesse Jackson showed up at the tribute, stopping in the crowd before the vigil to pose for a photo with a Michael Jackson impersonator. Michael Jackson spent the first 11 years of his life in Gary. The family moved out of the city known for its steel mills after the Jackson 5 struck it big in 1969 with the release of their first album. Aside from two concerts the Jackson 5 played at West Side High School in 1971, the only time the singer returned to his hometown was in 2003, when plans for a Michael Jackson Performing Arts Center in the city's downtown were announced. It was never built. "Gary, you are family, you always will be, I love you," Jackson said at the time. The teens also attended a news conference earlier in the day at the Majestic Star Casino and posed for pictures after they were given "I Love Gary" t-shirts by Mayor Karen Freeman-Wilson. Other events planned by the family in Gary include a dinner on Friday and a concert on Saturday. Last week, a Los Angeles judge appointed the pop star's nephew, TJ Jackson, to share guardianship responsibilities for the late singer's three children with family matriarch Katherine Jackson. TJ Jackson was appointed a temporary guardian last month when Katherine Jackson was incommunicado during a stay at an Arizona spa with relatives. Other family members have said Katherine Jackson was being improperly influenced regarding custody arrangements for the children, but her attorney disputed those claims.